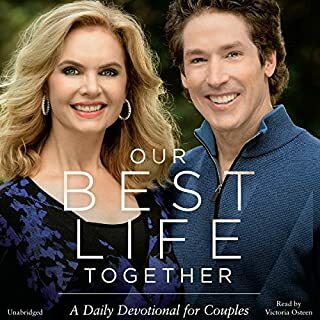 I am a huge fan of Joel Osteen and always have enjoyed his books and messages but I was a little disappointed in this one. While it is full of inspiring daily prayers and motivations, it lacked some continuity and the type of conviction I have come to enjoy from his messages. I was hoping for more stories and advice for couples in this book. I highly recommend all his other books and all his messages. Just did not find this book as engaging as his other work.